Bethesda + iD + Avalanche Studios releases all the hype neon rage in the official gameplay trailer for Rage 2, the Mad Max-esque dystopian open world game where insanity, neon colour and the mohawk rule. And everything hits like a shot of adrenaline. With added chems, surely. Introducing RAGE 2, a new first-person shooterverse! Get a first look of the upcoming game in our first official gameplay trailer. 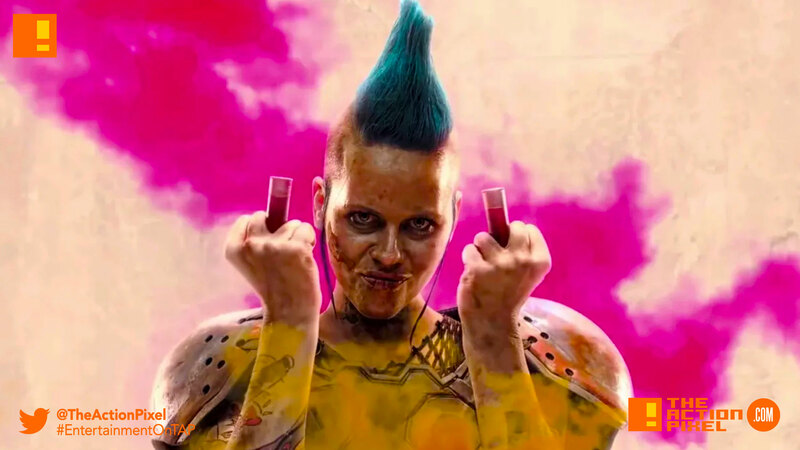 In RAGE 2, you’ll dive headfirst into a dystopian world devoid of society, law, and order. You can go anywhere, shoot anything, and explode everything. The game brings together two studio powerhouses – Avalanche Studios, masters of open world mayhem and id Software, gods of the first-person shooter – to deliver a carnival of carnage.